This past week the second round of The System pens were shipped out and are hitting mailboxes around the world as we speak! Thanks again for the amazing support for the design and I'm so humbled by the kind words and feedback. If you've received yours I'd love to see it in use on Twitter or Instagram, so please tag @clickypost so I can take a look! I will be placing an order (a smaller one) for a FINAL round of The System this coming week that is set to arrive in August, so if you missed out on the first two rounds make sure to join the list if you want to be informed when they're available for purchase. And...Small Batch of The System Pencil! I'm really excited about this! 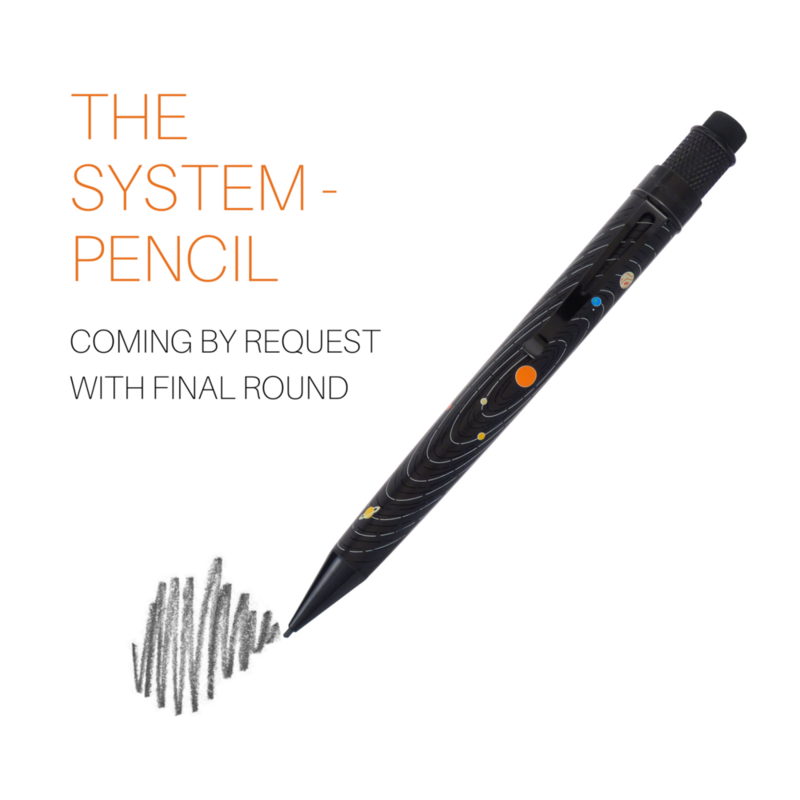 I've had quite a few people request a pencil version of The System be made to complete a set, so I'll be doing a one time order of them to arrive when the final round comes!